Contents: One box containing manual (39 pages) and 1 CD in jewel case, (UK version contains Sword Coast and Baldur's Gate map and reference card). Specification: IBM Compatible PC P166, Windows 95, DirectX 5.0 or greater. 16MB RAM, 400MB Hard Drive space, 4x CD-ROM, 2MB Graphics card, keyboard & mouse, original Baldur's Gate game. Tales of the Sword Coast is an expansion pack for Baldur's Gate. The pack slots into an existing game and extends the playing area, it does not continue after the original game has been completed. The characters begin in Ulgoth's Beard and travel the surrounding lands as far as Durlag's Tower and a mysterious Island off the Sword Coast to complete sub plots and tasks. Character AI (Artificial Intelligence), AD&D rules updates and games\interface amendments were also included with this expansion. A full pack of Magic: Portal CCG was also included in this box. The UK version also contained the original maps and reference card which were omitted from Baldur's Gate. See the Tales of the Sword Coast official strategy guide page. 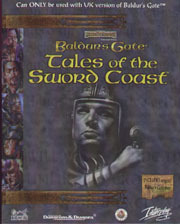 Tales of the Sword Coast is also available in a double package release along with Baldur's Gate. 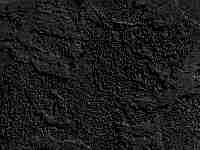 Check out the Baldur's Gate web site for more info and goodies for this product. See the product page for the original Baldur's Gate game and the accompanying official strategy guide, comic and novel..